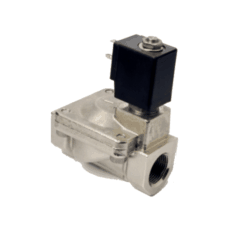 STTC-SV25-24VS is a stainless steel water electromagnetic solenoid valve with working voltage 24 V AC for tank temperature control systems using in minibreweries Breworx. 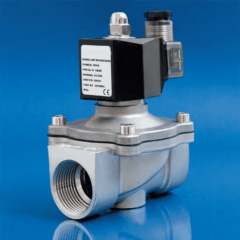 It is intended for pipes DN25 (G 1″) – these are the usual input and output connections for cooling duplicators double jacket for stainless steel tanks. 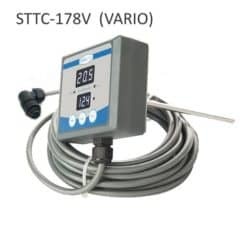 Each STTC-SV25-24VS valve is connected with TTC system and controlled by STTC-FF178 microprocessor temperature controller or some other manual or automatic tank temperature control system with working voltage 24 V AC. The STTC-SV25-24VB is 24V (AC 50Hz/60Hz) solenoid (electromagnetical) valve for the STTC-FF178F Single tank temperature controller. It is used for a quick opening and closing of the coolant pipe way of the one fermentation tank cooling zone. Each the solenoid valve is connected to the STTC-CB100 connection box. For DN25 (G 1″) pipes. Designed in Germany. 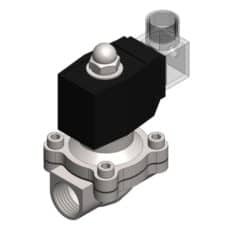 The STTC-SM15-24VS is 24V (AC 50Hz/60Hz) motorized valve for regulation of water/glycol cooling systems. It is used for a quick opening and closing of the coolant pipe way of the one tank cooling zone. Each the motorized valve is connected to the STTC-CB100 connection box. Threads DN15 (G 1/2″) pipe connection . Designed in Czech republic. The STTC-SV25-24VN is 24V (AC 50Hz/60Hz) solenoid (electromagnetical) valve for the STTC-FF178F Single tank temperature controller. It is used for a quick opening and closing of the coolant pipe way of the one fermentation tank cooling zone. Each the solenoid valve is connected to the STTC-CB100 connection box. For DN25 (G 1″) pipes. Designed in Germany. STTC-FF178 Single tank temperature controller FermCont is used in Breworx breweries and cider lines for measuring and control of temperatures in tanks (HWT, ITWT, ICWT, CCT, OFV, BBT …). 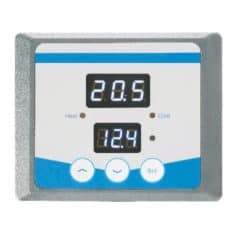 This temperature controller is designed for fix instalation, directly on the tank. The controller cooperates with other components of the BTCCS (Breworx tank cooling control system). All the measuring and control system is Designed in Germany. 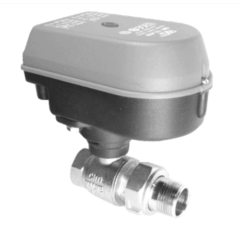 The STTC-SM20-24VS is 24V (AC 50Hz/60Hz) motorized valve for regulation of water/glycol cooling systems. It is used for a quick opening and closing of the coolant pipe way of the one tank cooling zone. Each the motorized valve is connected to the STTC-CB100 connection box. Threads DN20 (G 3/4″) pipe connection . Designed in Czech republic. 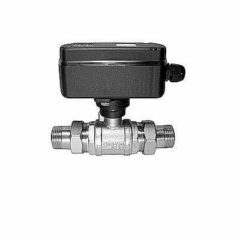 STTC-SV32-24VS is a stainless steel water electromagnetic solenoid valve with working voltage 24 V AC for tank temperature control systems using in minibreweries Breworx. 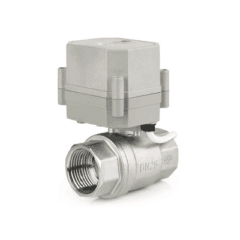 It is intended for pipes DN32 (G 5/4″) – these are the usual input and output connections for cooling duplicators double jacket for stainless steel tanks. 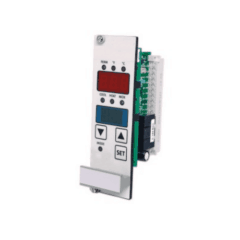 Each STTC-SV32-24VS valve is connected with TTC system and controlled by STTC-FF178 microprocessor temperature controller or some other manual or automatic tank temperature control system with working voltage 24 V AC. The STTC-SM15-24VN is 24V (AC 50Hz/60Hz) motorized valve for the STTC-FF178F Single tank temperature controller. It is used for a quick opening and closing of the coolant pipe way of the one fermentation tank cooling zone. Each the solenoid valve is connected to the STTC-CB100 connection box. 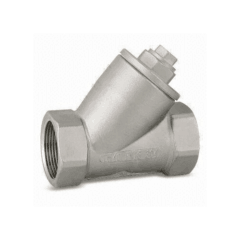 Threads DN15 (G 1/2″) pipe connection – two versions 2/3 (female/female or male/female) . Designed in Germany. 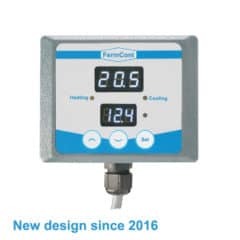 The STTC-FC150C Single tank temperature controller FermCont for cabinets is used in Breworx breweries and cider lines for measuring and control of temperatures in tanks (HWT, ITWT, ICWT, CCT, OFV, BBT …). This temperature controller is designed as a card for instalation into the CTTCS-B series cabinets. One STTC-FC150C controller measures and control temperature in one cooling zone. All the measuring and control system is Designed in Germany. The STTC-FC150A Single tank temperature controller FermCont for cabinets is used in Breworx breweries and cider lines for measuring and control of temperatures in tanks (HWT, ITWT, ICWT, CCT, OFV, BBT …). This temperature controller is designed as a card for instalation into the CTTCS-A series cabinets. One STTC-FC150A controller measures and control temperature in one cooling zone. All the measuring and control system is Designed in Germany. WJ500 is a junction box, which makes wiring easy and convenient in brewery installation. It allows connection of several C2105 temperature controllers and VM800 electrovalves and their power supplying. Built-in relay. VM800 is motorized valve for TTC tank temperature control systems using in breweries Breworx. It is intended for pipes 3/4“ (DN20) – these are the usual input and output connections for cooling duplicators double jacket for stainless steel tanks. Each VM800 valve is connected with TTC system by WJ500 connection box. WJ505 is a junction box, which makes wiring easy and convenient in brewery installation. It allows connection from 1 to 5 pcs of C2105 temperature controllers and VM800 electrovalves and their power supplying. Built-in relay. 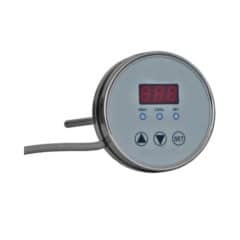 C2105 temperature regulator is used in Breworx breweries for measuring and control of temperatures in tanks (HWT, ITWT, ICWT, CCT, OFV, BBT …). 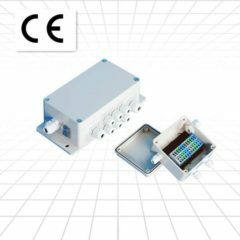 The controller cooperate with WJ500 junction box, which makes wiring easy and convenient in brewery installation and VM800 electrovalves. 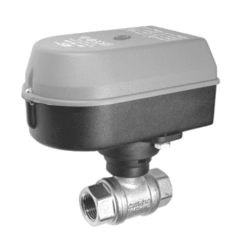 The STTC-SM25-24VS is 24V (AC 50Hz/60Hz) motorized valve for regulation of water/glycol cooling systems. It is used for a quick opening and closing of the coolant pipe way of the one tank cooling zone. Each the motorized valve is connected to the STTC-CB100 connection box. Threads DN25 (G 1″) pipe connection . Designed in Czech republic. 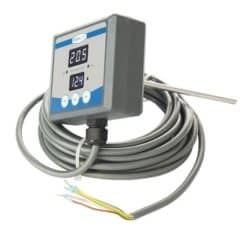 STTC-FC178V Single tank temperature controller FermCont VARIO is used in Breworx breweries and cider lines for measuring and control of temperatures in tanks (HWT, ITWT, ICWT, CCT, OFV, BBT …). 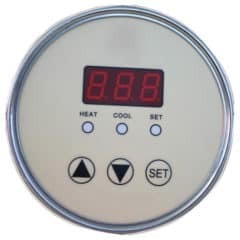 This temperature controller is designed for fix instalation, directly on the tank. It is equipped with the VARIO jack plug connector for easy and quick connestion with the STTC-CB100V connection box. The controller cooperates with other components of the TTMMCS (Tank temperature manual measurement & cooling system). All the measuring and control system is Designed in Germany.